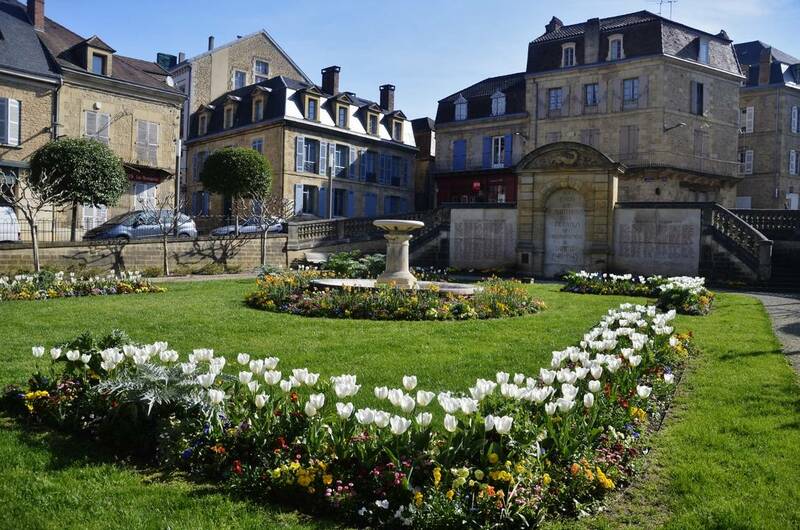 With plenty of 17th century facades around town, Sarlat-la-Canéda in France immediately has an attraction. Fortunately, the masses haven’t arrived here yet, but the locals have flocked because today is market day and this is one of those serious European street fairs that you would travel overseas to see. 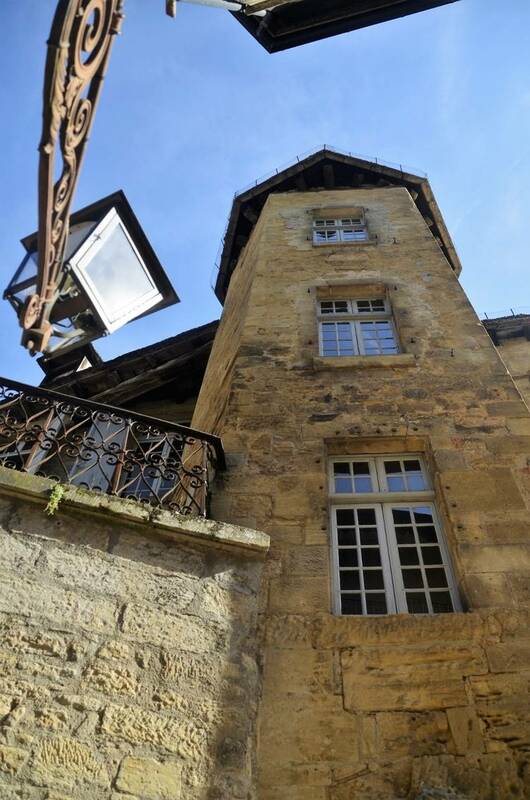 We’re not that far into our visit when we chance upon the Manoir de Gisson, a listed building in the officially protected old quarter of Sarlat-la-Canéda, and it’s one of the most remarkable buildings in this medieval town. With two lots of differing architecture centuries apart, linked to each other by a staircase inside a hexagonal tower, it dates back to the 13th century. With its aristocratic tower, mullioned windows, rooves of locally-traditional lauze stone (natural rock slabs which weigh almost 100kg per square foot), as well as its very unusual colonnaded bay-window crowned by a bullseye and its frontages flanked by decorated portals, it reeks of prestige. The vaulted cellars and the apartments house an outstanding exhibition on the history of justice from the Middle Ages up to the French Revolution in 1789. The collection of authentic instruments inside is of international renown, featuring in displays in major cities throughout the world. The daily life of the Sarlat-la-Canéda nobility, and the Gisson family in particular, in days gone by is on show here. Among their distinctions: Consul, Royal Notary, Knight of the Order of St Louis, and Captain of the Dragoons. 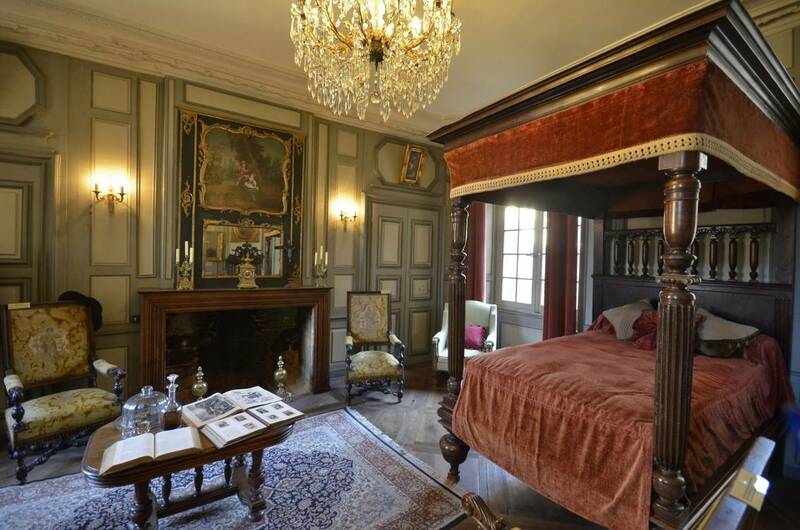 The magnificent staterooms, antique furniture dating from the Middle Ages to the 17th century, large fireplaces, panelling and parquet floors in precious woods, flooring in medieval pisé form, the spiral staircase and its lofty terrace overlooking the Place des Oies (the one-time goose market) and the alleys of the old town. I stuck my head out of the terrace and you could look straight along the line of today’s bustling marketplace and I almost couldn’t wait to get down there. However, I was brought back to earth with a shock as I read about the executioner of yesteryear on one of the many scripts left lying around on tables. The whole page was a horror story, about how he was paid for example, “Breaking on the wheel, one European Currency Unit and 40 stivers, twice the amount if he cuts the body into four pieces and carries them to various places in town”, and that was just one of the items! It was interesting to note that the executioner was shunned by the community and his children were not allowed to go to school. 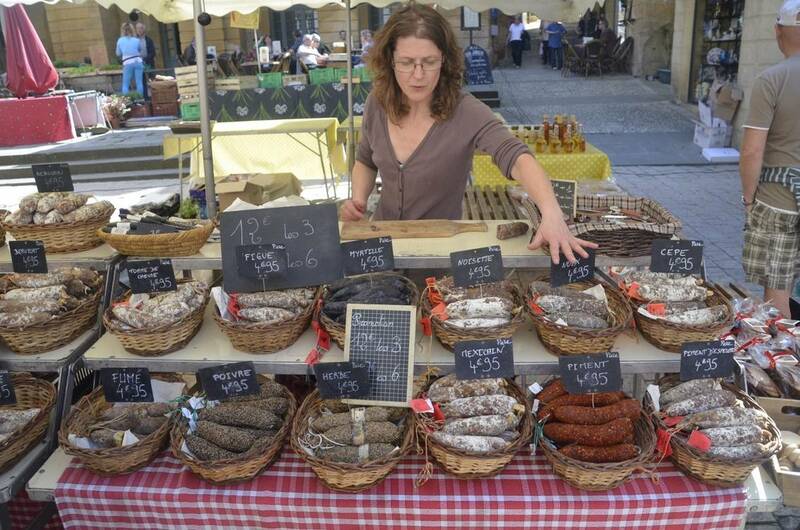 Sarlat-la-Canéda is in Perigord, and one of the regional specialties is foie gras. These days merchants are selling all manner of things and, as you walk through, it’s no wonder that France has had its regional food listed by the United Nations as a heritage item. 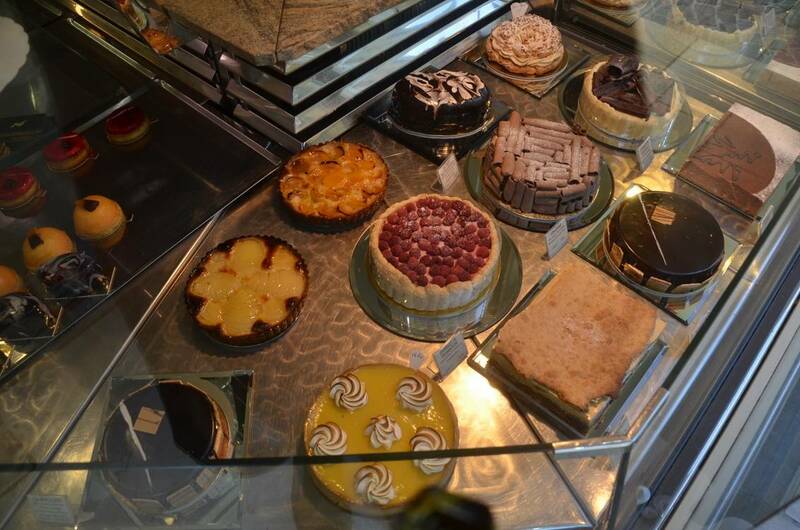 You’ll need to carry a tissue to soak up the drool as you walk past all the fresh food on display. At one point I’m taken by what seems to be large cakes but, non! What I’ve noticed is nougat on a grand scale and I succumb, despite protestations from Lorraine, and buy some. It’s only a slice but it amounts to about 20 dollars Australian and I feel a little guilty but the deed is done. 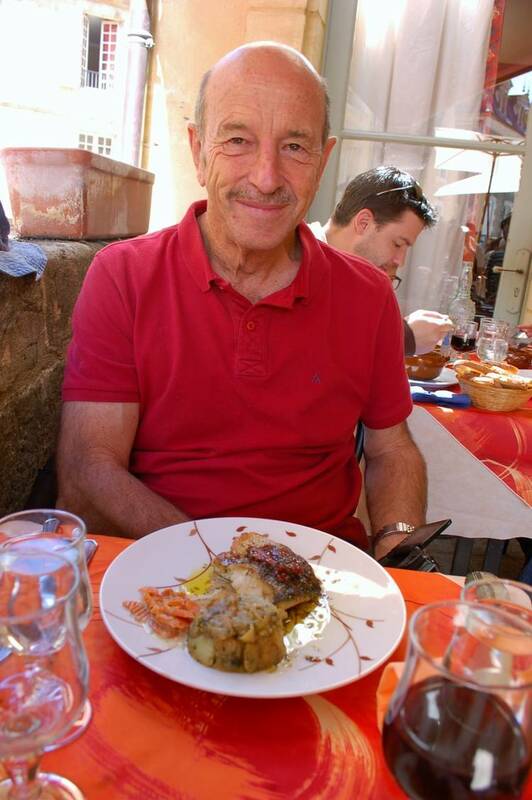 Little did we know that, in the oncoming weeks as we travelled through France, whenever we felt a little peckish or couldn’t find a café, guess what we dipped into. I never regretted buying that slice. 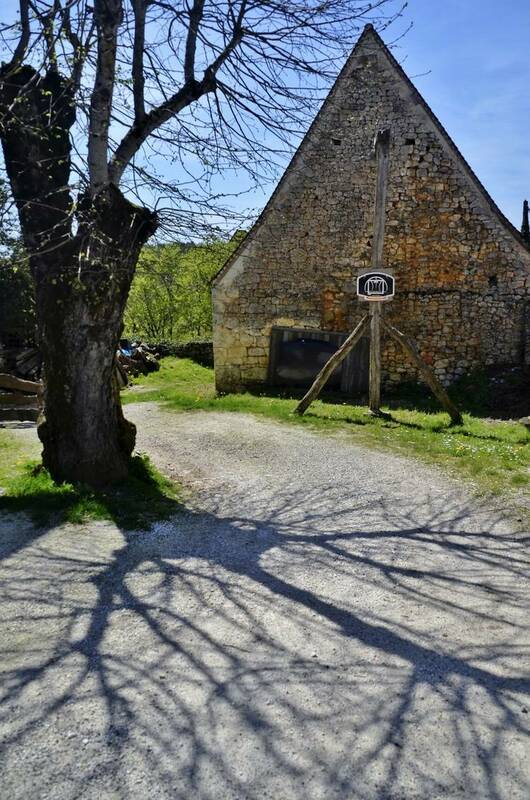 Outside of Sarlat-la-Canéda, we breezed through places with names like Eyvigues, Bourzolles, Soulliac and Martel, the latter recommended to us by someone or other as an historic mediaeval town. It was as tidy as any European town, complete with a crumbling wall or two and some mysterious bricked up entrances with archways – where did they once lead to? 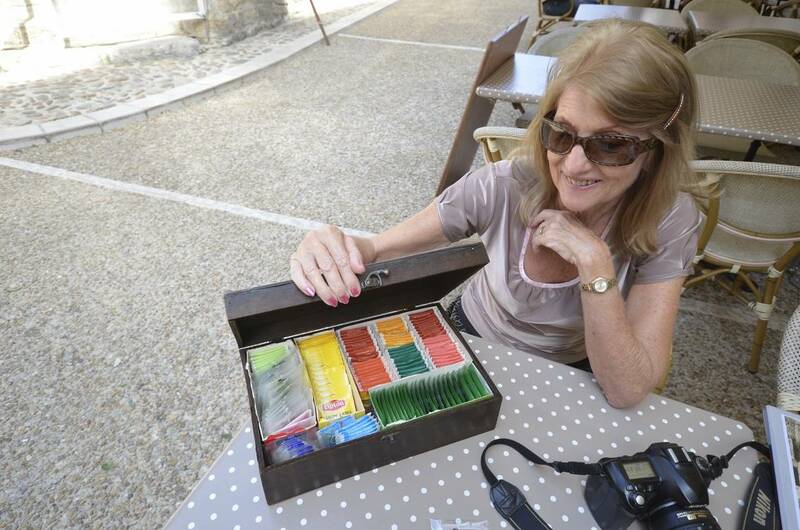 We stopped here at the Café de The (not far from a brace of cannon and the centuries old market place) and were spoilt for choice when they placed the whole tea box before us. However, that night, I aimed for nearby Carlux, where I’d espied some old walls that were floodlit when we were on our way to our digs at St. Nathalene. As the moon peeped then withdrew behind clouds, the walls turned a bright floodlit sandstone colour, creating a mood of awe and mystery, especially where a cross stood naked before the structure and seemed somehow holier for it.